Sounds fun, doesn’t it? Maybe that depends on your idea of fun…The word “diva” may conjure up a negative image initially. Initially, the image of a bitchy woman comes into my head. I put Google to use to provide me with the official definition. There are actually a few definitions of the word “diva.” An opera singer seems to be the original meaning of the word. My personal favorite is: A female version of a hustler. A hustler is defined as: an enterprising person determined to succeed; go-getter. Both of these definitions fit the description of my new friend MayCay Beeler. Actually, my belief is that anyone who wants to be a pilot needs to be a diva or a hustler. This hobby or career requires focus and persistence. MayCay and I have connected through social media. 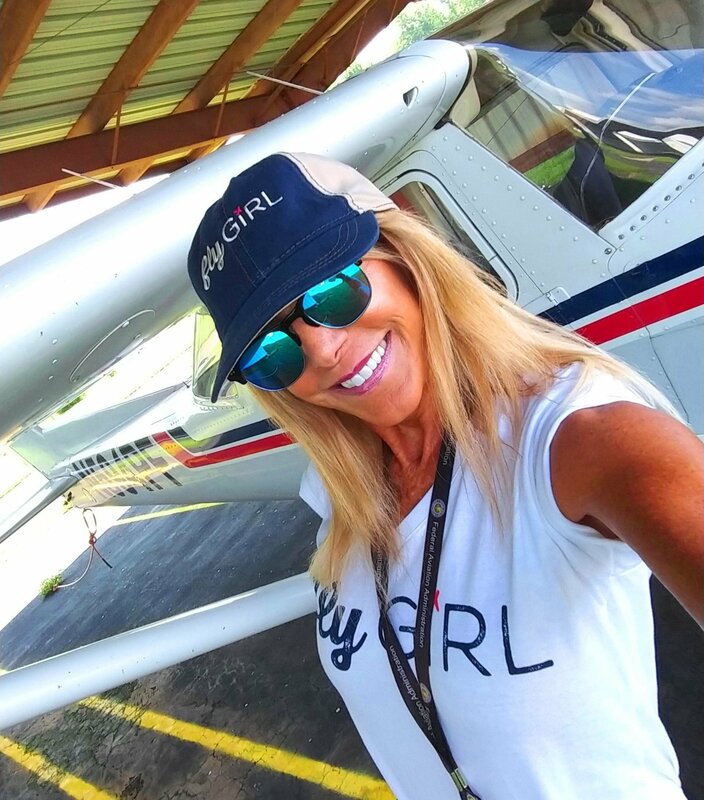 We’ve been drawn to each other because of our shared love of aviation and our desire to get more women in the sky, knowing that aviation has many opportunities to help build a woman’s confidence, skill set, and knowledge. Our posts are very similar. We love to share and present our passion for flying through various events, photos and quotes. 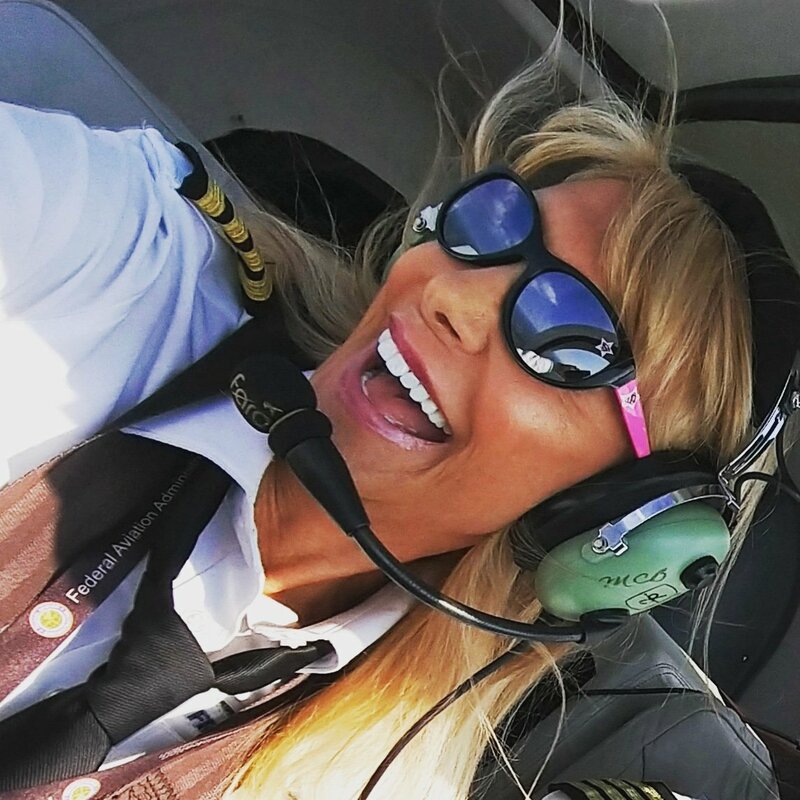 MayCay is a commercially rated Airline Transport Pilot, TV personality and author, among other things. 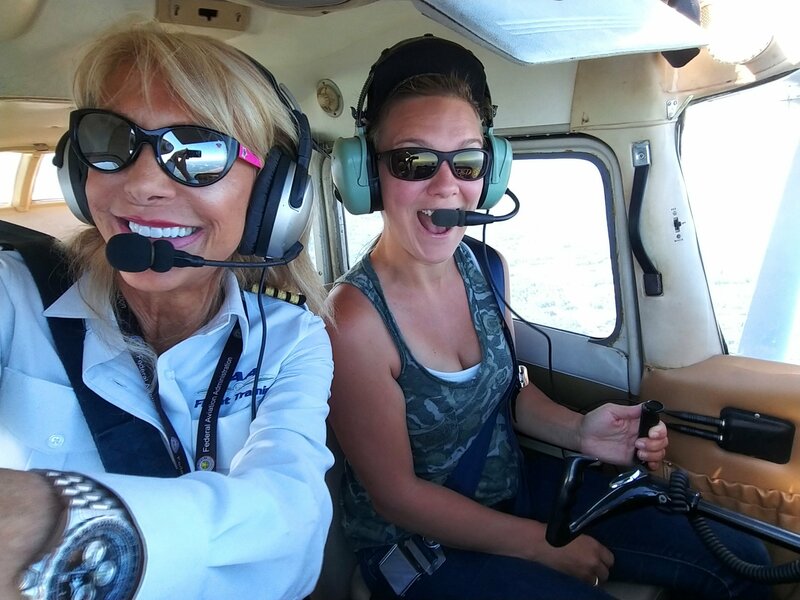 After her own enlightening, successful aviation journey as a student pilot, whose journey was filmed for a documentary, she felt inspired to introduce flight to other women. “The Diva Flight Experience” was born. Through her program, she has donated some of her time to fly nearly 100 women and girls in the last 6 years. She has partnered with organizations such as Make-A-Wish foundation, as well as other charities. Through these encounters she has empowered women and made lifelong friendships. She has helped women of all generations deal with ingrained flying fears and cope with personal illness. “The Diva Flight Experience” has also helped females blossom by discovering their abilities and discover their own love of flying. MayCay believes that once a woman realizes she can fly an airplane, she will see that she is capable of anything. Her heart’s desire is for other women to see their potential and challenge themselves. By doing so, she recognizes the growth that can ensue for the individual, as it did for her. Over the course of her flying career, she has had the opportunity to fly with many of the “greats,” including Retired Brigadier General Chuck Yeager. How cool is that?!?! I’d be a nervous wreck flying that legendary pilot! When MayCay is not flight instructing or with her family, she is focusing on reaching out to others. 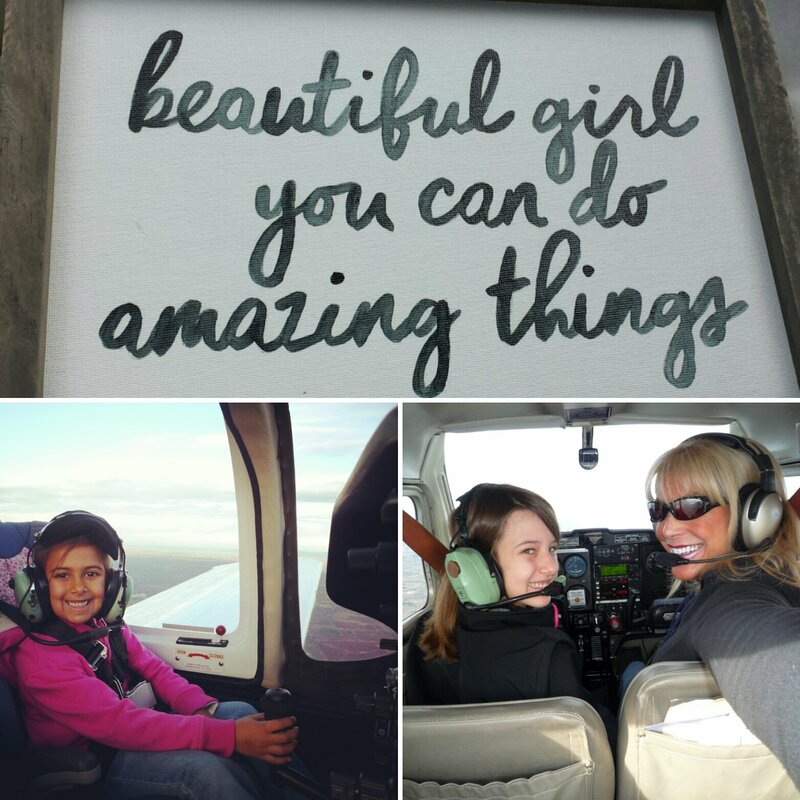 We are kindred spirits in the fact that we’ve both found our calling in helping others through our love of aviation. It’s a true blessing when what you love to do becomes combined with the ability to help others achieve and grow. flyGIRL started because of these same values. Knowing how aviation changed me and opened my eyes to my potential made me want to help others realize their promise as well. If you’re not following MayCay’s journeys yet on social media, begin today! You can find her on Facebook, Twitter and Instagram as @maycaybeeler. You will instantly witness the passion and joy she gains from sharing her experiences. Also, feel free to reach out to her if you want to know more about “The Diva Flight Experience” program and how you can help.